A couple of weeks ago, we tipped Déjà Vega on Shell Zenner's Amazing Radio show. We caught up with front man Jack Fearon shortly after to find out more about them and their plans for 2015. Hello Déjà Vega, please can you introduce the members of the band? Hello Dave. 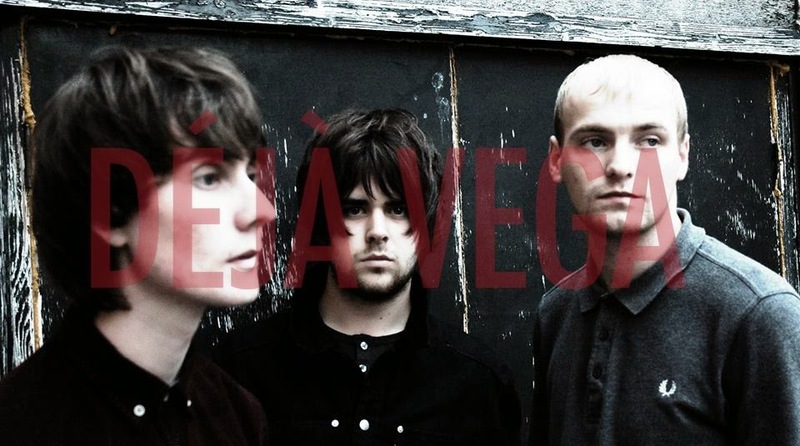 Déjà Vega are Michael Newton on the bass guitar, Tom Webster on the drums and I'm Jack Fearon on Guitar and vocals. Your name is quite interesting - where did you come up with it? Thanks, the name was thought up by Mike. When it came to thinking of name's we had loads of ideas running around from old Sci-Fi references and stories. The name made an appearance from those clash ideas. The track we tipped on Amazing Radio is Fun Time Jack, can you tell us a little more about what the song's about? We've been following you since you formed and you now have quite a large catalogue of songs and seem to be constantly adding new ones. What are your plans to release these? No particular plan as of yet, just writing and recording the songs and see what feedback comes from them. Keep getting better, keep playing gigs and hope more people like it. Live, you're incredibly powerful both aurally and visually and your shows are never the same. Do you plan what's going to happen or do you just let rip and see what happens? No particular plan. Just go on stage and play the songs. If it feels good, it will be good. Tom and Mike play really tight which lets me try new stuff, but we always get back to the tune. You've been lazily lumped in with the psyche scene, but you're different to most of the other bands that have been labelled that. How would you describe your sound to someone without playing them any songs? Déjà Vega play two Manchester shows soon - The Zombie Shack next Tuesday, December 9 and then the Deaf Institute on January 30.